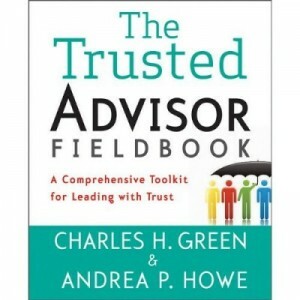 We here at Trusted Advisor Associates earn our daily bread by helping clients to become Trusted Advisors to their clients and to each other, and by helping clients create Trust-based Selling programs. That’s our daily work—specific applications of trustworthiness. To do so, it also helps to take a broader look at trust. That’s one role of this blog, Trust Matters. A similar role is occasionally played by media, who come up with specials on the subject of trust. 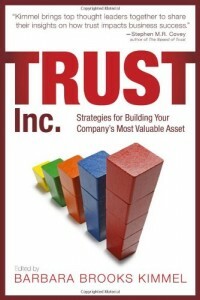 Such an event was Forbes’ Magazine’s recent issue, The Trust Gap. Nicely edited by Raquel Laneri and Michael Noer, it consists of fully 19 articles, covering a wide range of trust-related topics. I purposely printed them all out, and read them on the plane to Orlando last night uninterrupted. Turns out it makes for fascinating reading: mainly because it shows once again the amazing range of issues which influence, and are influenced by, the phenomenon of trust. I’d offer you a link to a combined file, but I’d probably run afoul of some copyright law, so you’ll have to do your own mix tape. (Although–it just occurred to me–I’ll bet you could probably buy a print copy of the magazine somewhere!). · Obama is a deceiver because he said he’d work with the Republicans, yet passed many bills without a Republican vote. Puh-leeze. Still, those are a minority. James Henry and Lawrence Kotlikoff start by citing Anna Bernasek (see Trust Quotes Series #6 interview with Anna), then go on to suggest that our long, slow, decline of trust in institutions has a simple cause—complexity of government. And, they have a solution. Five of them, actually—one each for taxes, banking, health care, social security, and offshore taxation. They’re sweepingly broad, startlingly commonsense, and—you sense why this is a virtue—simple, while not being ideologically simplistic. Joel Kotkin, in Tribes and Trust, makes the case that the decline of social trust and trust in institutions as we’ve come to know them are offset by equal increases in our tribal affiliations. By “tribes,” he doesn’t just mean movements in Asia, and China as a whole, but also economic groups like “investment bankers, techno-geeks or gays.” Though, this trade is not net good. Harvey Silverglate tells us, in "Trust me: Justice is my Last Name" that there has been a systematic, growing increase in the abuse of the justice system by Federal Prosecutors. If true, that one’s scary. I don’t know that I’d agree with Henry Miller on everything , but he’s made a nifty observation by identifying the Type 1 vs. Type 2 risk equation facing regulators; and having done a stint at the FDA, we owe him a good listen. If you’re a regulator, which is worse, he asks: the Type 1 error of approving a disastrous product, or the Type 2 error of not approving a good product. You don’t have to be a self-aggrandizing bureaucrat to see how we’d all respond conservatively in such a situation; and the policy implications of that low trust are large and ugly. Pollster Zogby notes, in Mending America’s Broken Trust, an interesting anomaly: Republicans trust Wall Street more than Democrats, but are also more likely to think that bankers got a sweetheart deal in the bailout. Which suggests their core belief is more anti-government than pro big business. From across the pond, Quentin Letts reminds us gently in Skepticism is More Powerful than Trust that a healthy dose of skepticism—quite a dose, actually—is periodically a very good thing. Furthermore, public shaming is still powerful; witness the official who used public funds to build a duck house, and was followed about town by people flapping their elbows and quacking. He resigned. On the other hand, Melik Kaylan in Relationships of Mutual Mistrust suggests the risk of shaming can get way, way out of control. Citing a former secret police officer in Rumania, where there is no privacy, the threat of blackmail is a constant presence. In his view, this same sort of risk is posed by Facebook et al, and serves as a chronic negative drip against the development of trust. Larry Ribstein has a piece I resonate with, called Battling the Mistrust-makers. He points out how, in contrast to just about everyone else’s claim that trust is declining, in certain ways it’s increasing: we are more and more dependent and intertwined with others. But there’s a force battling the kind of trust we need for successful economic cooperation, and that’s what he calls the “mistrust-makers.” He particularly singles out the media, politicians, and the plaintiff bar. In light of the Shirley Sherrod case, and the much ado about nothing case against death benefits payment cases in the insurance industry, his commentary is timely. To end up on a (partly) upbeat note, Karlyn Bowman, in Distrust: as American as Apple Pie notes that with all the declining numbers about trust, Americans are still positive on their constitutional system of government and core values like the belief in America as the land of opportunity. (There are some data to suggest that last belief is not so well-founded these days, but let’s not quibble about a happy ending note). Is Measurement the Enemy of Management? We often see measurement as a necessary handmaiden of management; but in some ways, they may be in conflict.